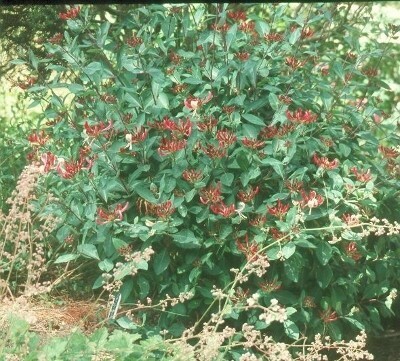 Very similar to ‘Serotina’ but less vigorous with stiffer stems; will climb to a degree or grow as a free-standing bush, good for groundcover. Twigs and leaves purplish, but not so dark as in ‘Serotina’. The leaves turns plum purple in autumn. Bears heads of cream and magenta-pink flowers from rich magenta buds. Occasional vigorous upright shoots should be pruned out as required.